Mobile apps are the most useful things installed in a mobile device to carry out a variety of useful functions. Many companies with different business backgrounds are approaching Mobile App Development companies nowadays. With commercial mobile apps installed in your mobile device, you have the great opportunity to have a better level of interaction with customers and promote your business the best way. Need to develop a mobile app? If you check online, you will find a mass of companies with specialization in mobile app development but we, at BroadNet Technologies, think outside the square and offer the most available and premium services without costing our customers a fortune. 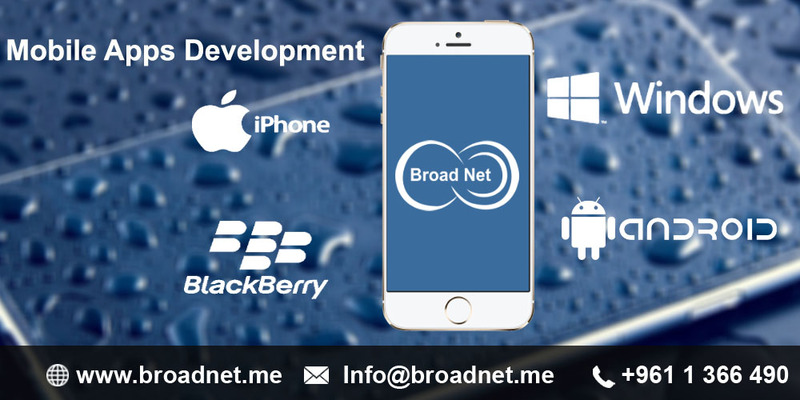 Choosing BroadNet Technologies, you unambiguously exploit the highest-grade services of experienced mobile app developers. Our company ensures a dependable and highest-quality app development in the UK, Lebanon and Middle East Countries. Whatever your business needs and personal preferences for a mobile application are, we can cater to them excellently for your Smartphones and Tablets. So just speak volumes about your needs and in which way you want to make the most of our innovative technology. Based on your response, we will inform you of the enormous possibilities for creating mobile applications. The industry of mobile software is developing increasingly with each passing day. To meet the international standards, we at BroadNet Technologies are exploring innovative techniques, tools, and technologies. We take mobile apps development very sincerely. Many of our app developers spend dozens of hours to create a mobile app perfectly. We readily accept all types of app development projects. Mobile apps are the thing to demonstrate the highest value for your business. Our app developers will help carry out your project. Our goal is to help the customers in building the apps according to their business needs and personal preferences, which we study at close quarters and make efforts to our best capacity to carry out every web project handed to us. Our team is well aware of how to carry out the projects to meet all the requirements of the customers. You will be informed of all the stages of development at our end. We provide continuous technical support and hassle-free operation of your website. So while you hand the project to us, it means it is in the safe hands.